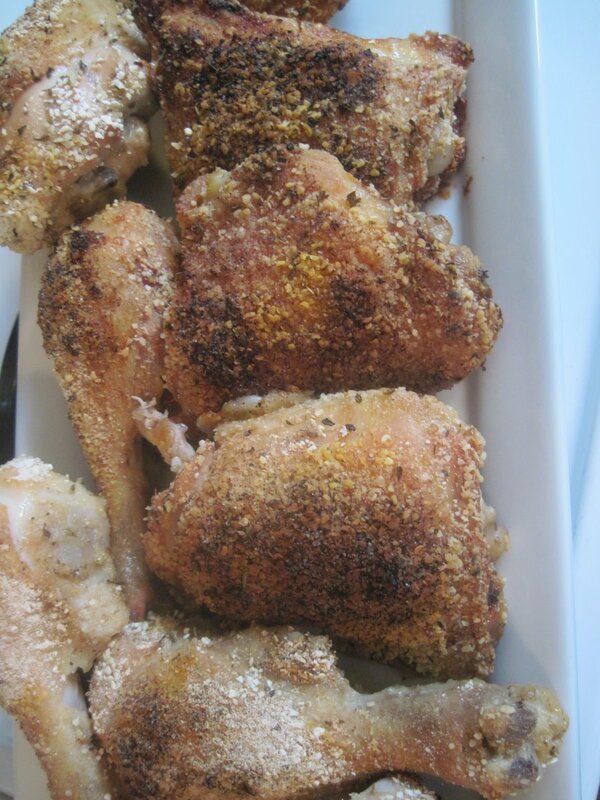 This is a delicious easy recipe that my hubs and kids love more than any fried chicken recipe! 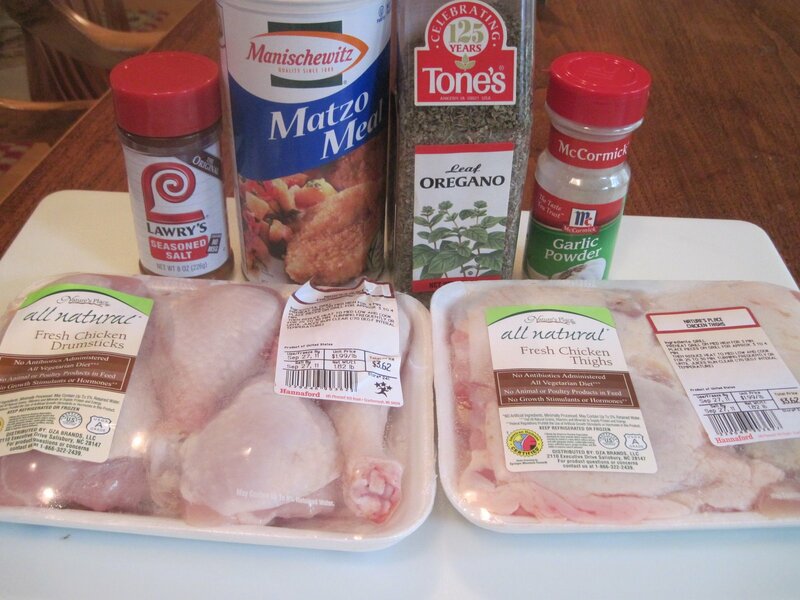 Coat the chicken with Matzo Meal. 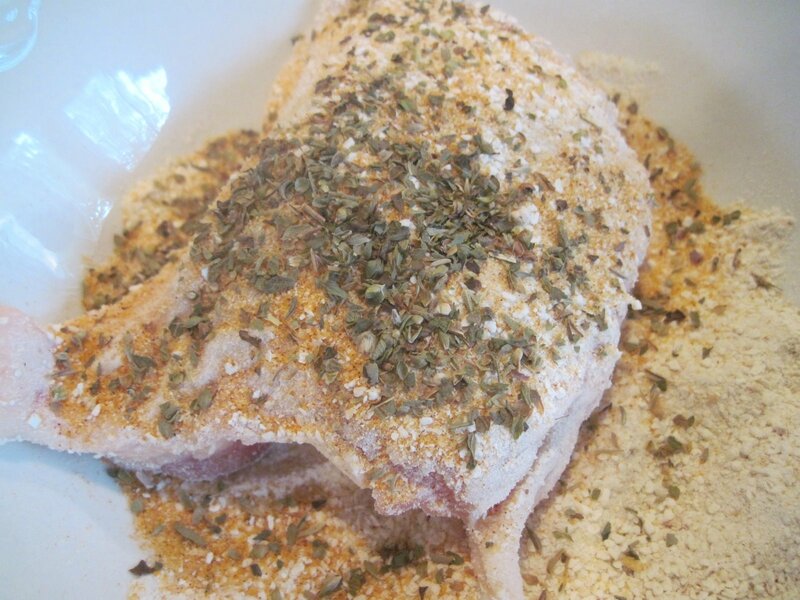 Add spices, Lawrys, garlic powder and Italian Seasoning. 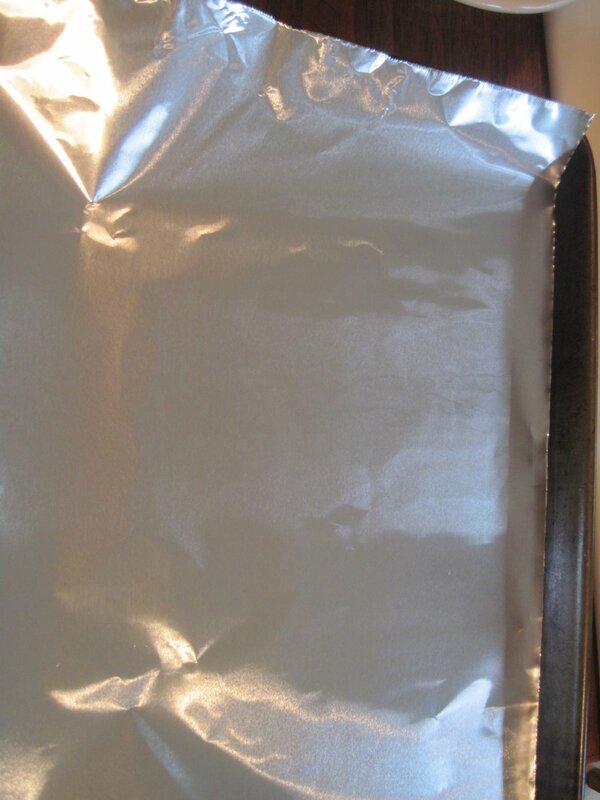 Cover baking sheet with foil and spray with canola oil. 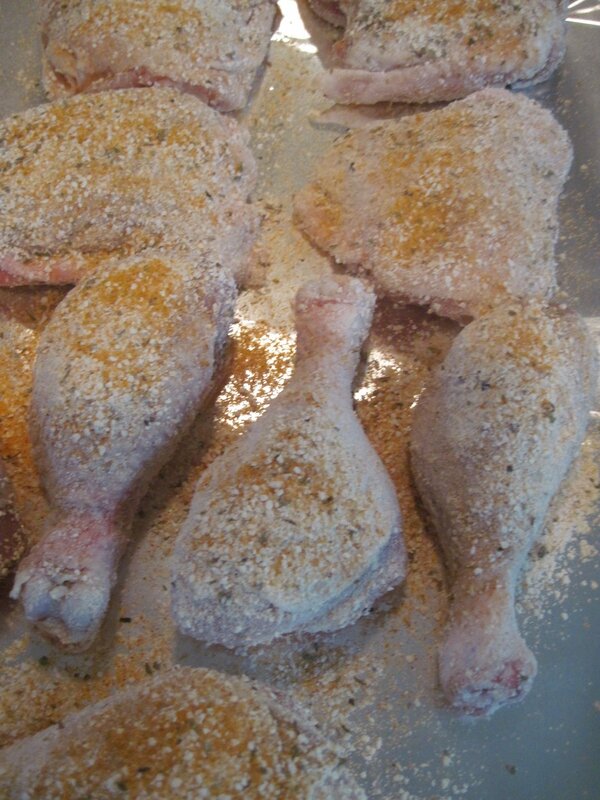 Place chicken on pan, my family loves legs and thighs. 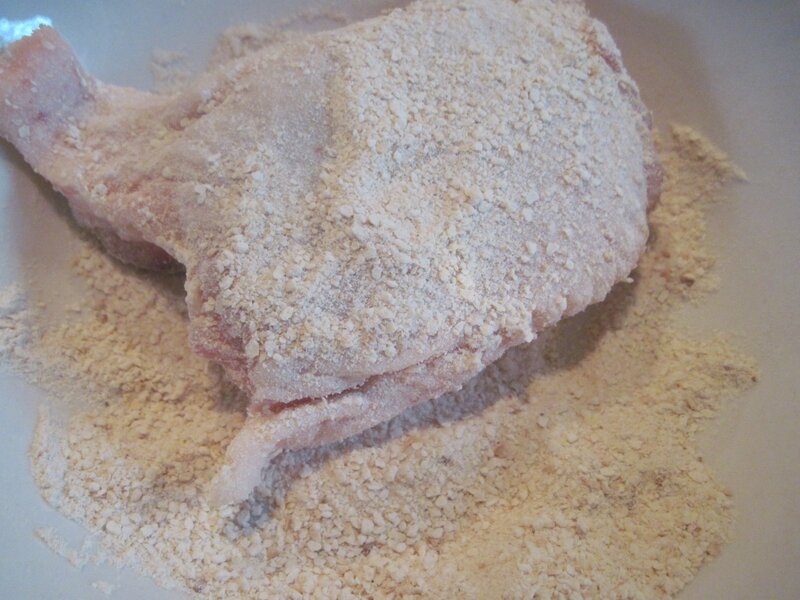 Cook at 350 F or until crispy brown. 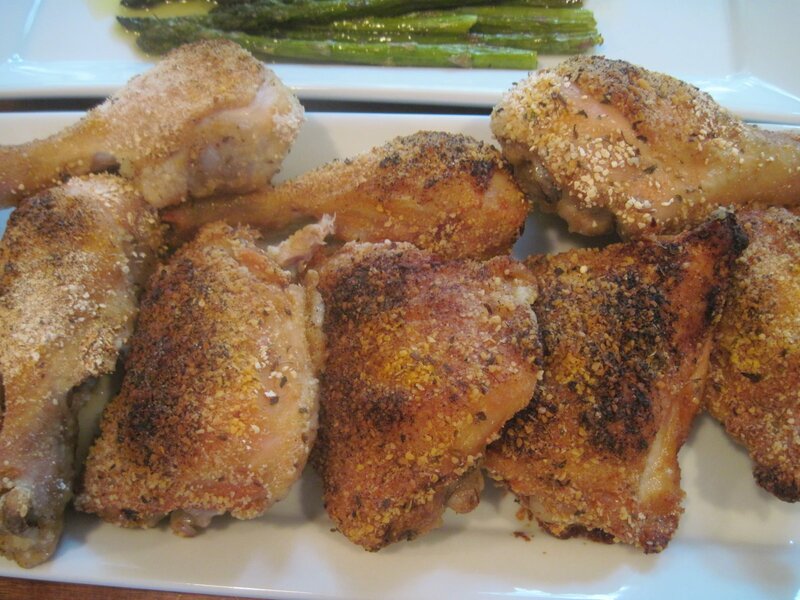 Sounds great — with the asparagus and garlic bread too. Yum.